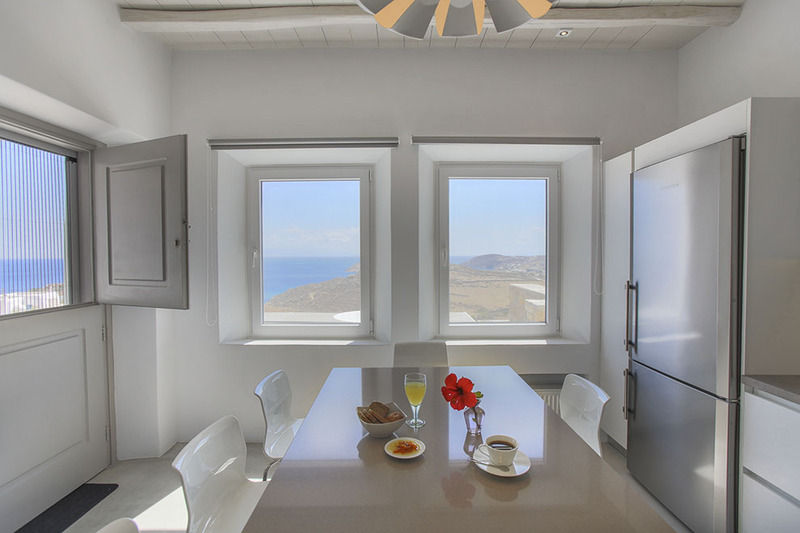 The magnificent Villa Anais is situated in a tranquil natural environment at the south-east side of Mykonos, in the area of Lia, enjoying a virgin scenery and a unobstructed view across the infinite blue of the Aegean sea. 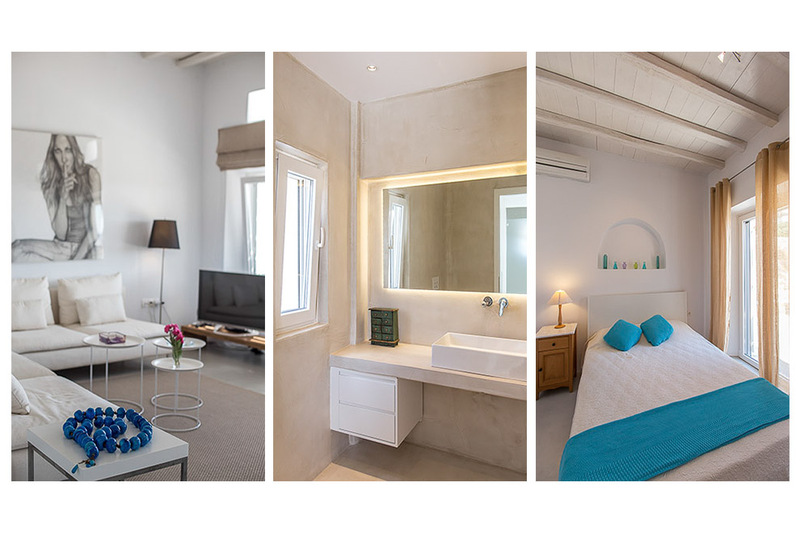 Some of the most beautiful and renown sandy beaches of the island, like Lia, Elia, Kalo Livadi and Kalafatis are at a short distance, challenging guests to enjoy the Mykonian sun, their emerald crystal waters, water sports, as well as the cosmopolitan beach restaurants. 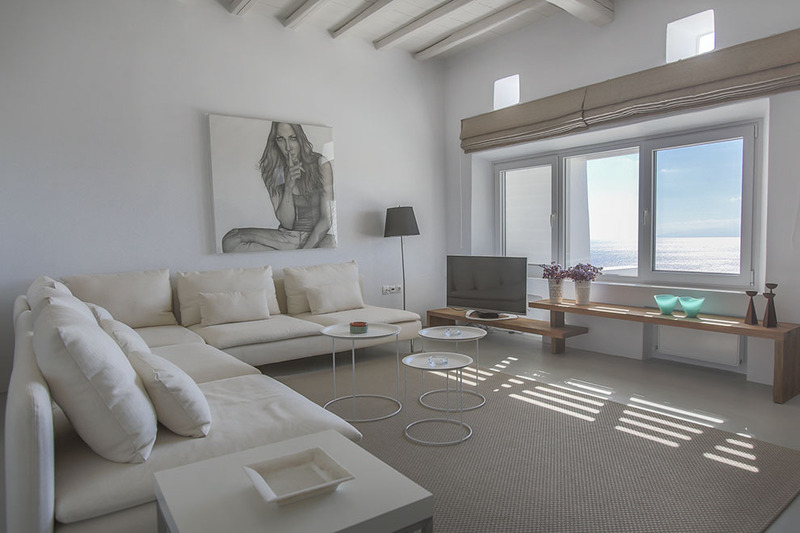 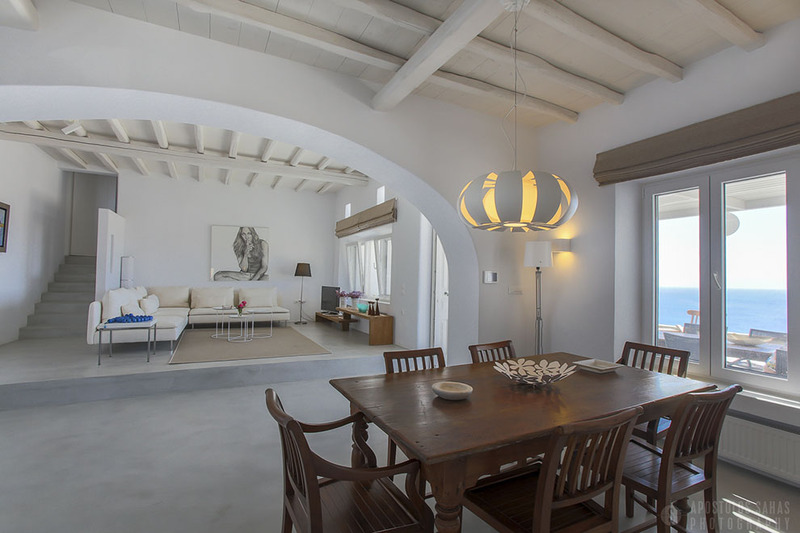 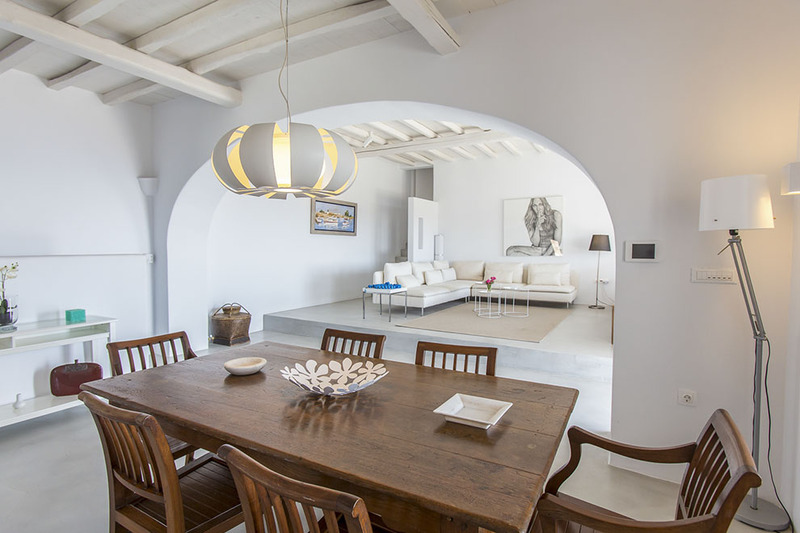 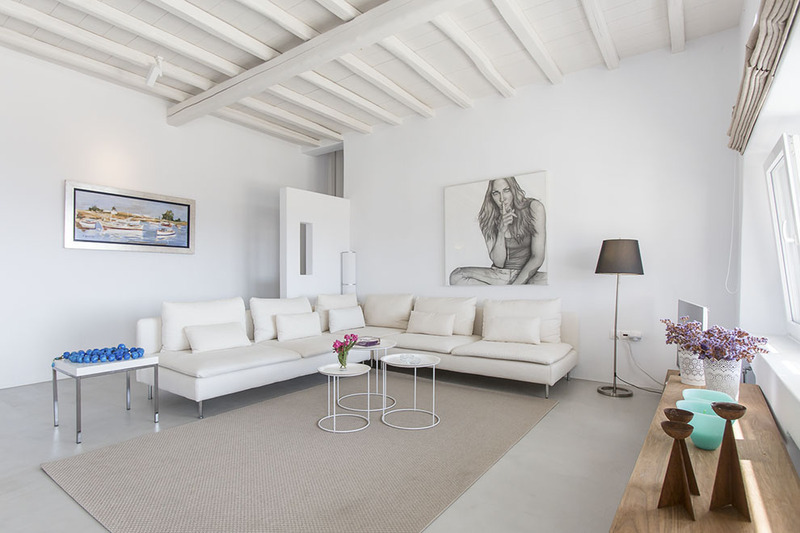 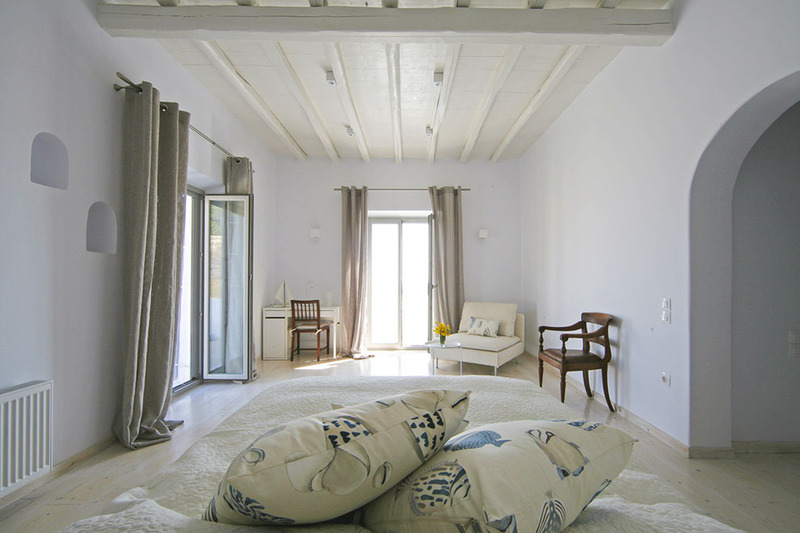 In the interior of Villa Anais the minimal design, the chic furniture, the modern decoration and the stylistic elements dominates the relaxing scene. 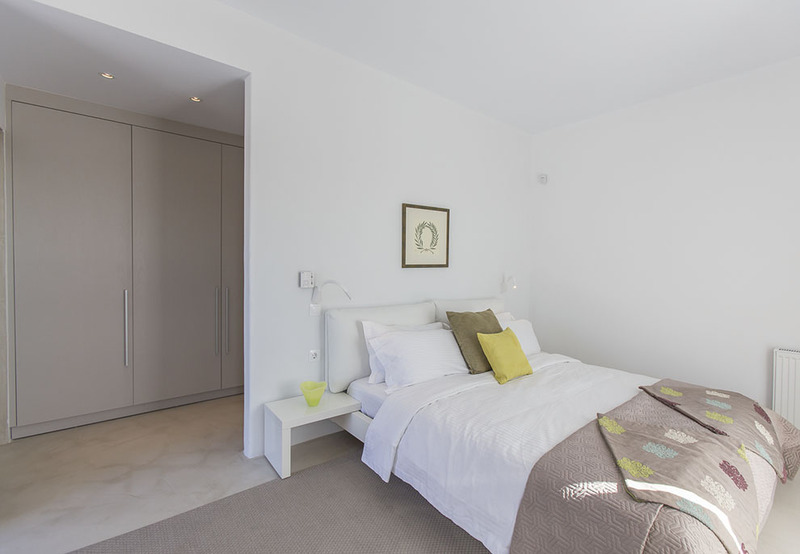 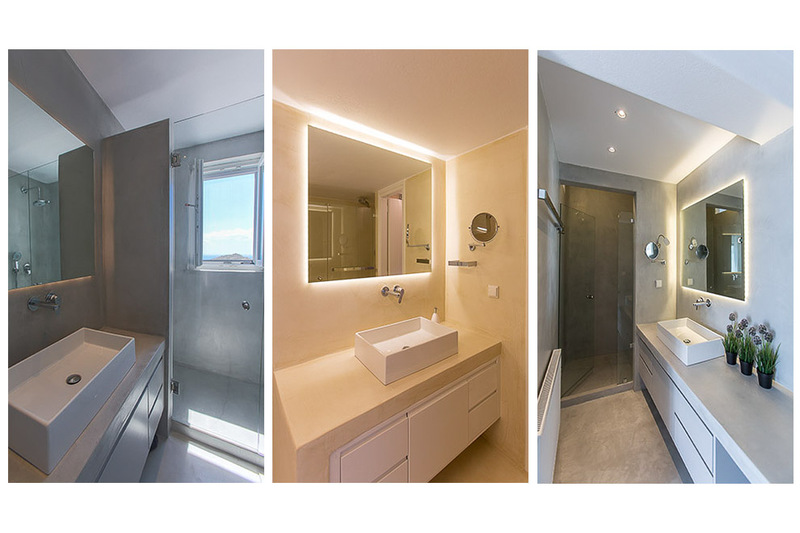 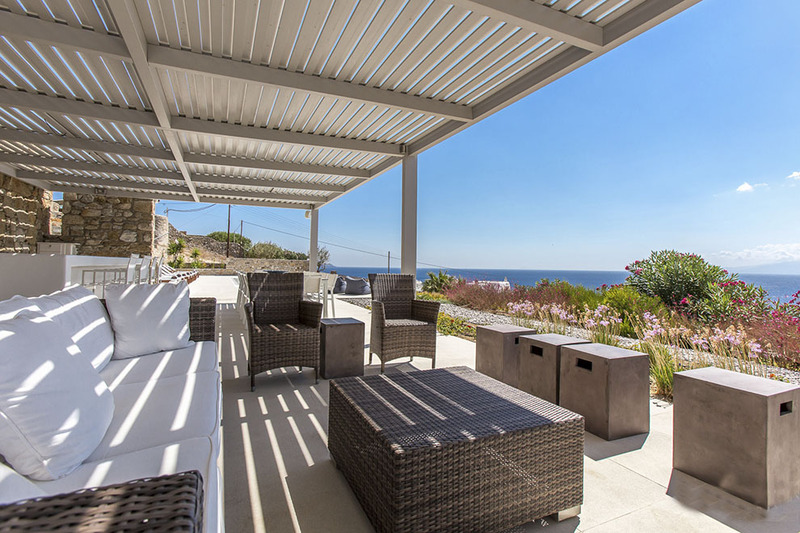 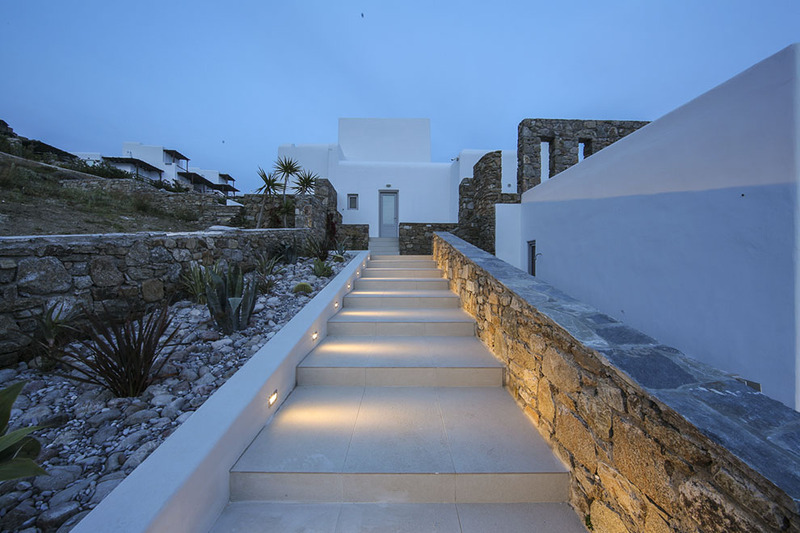 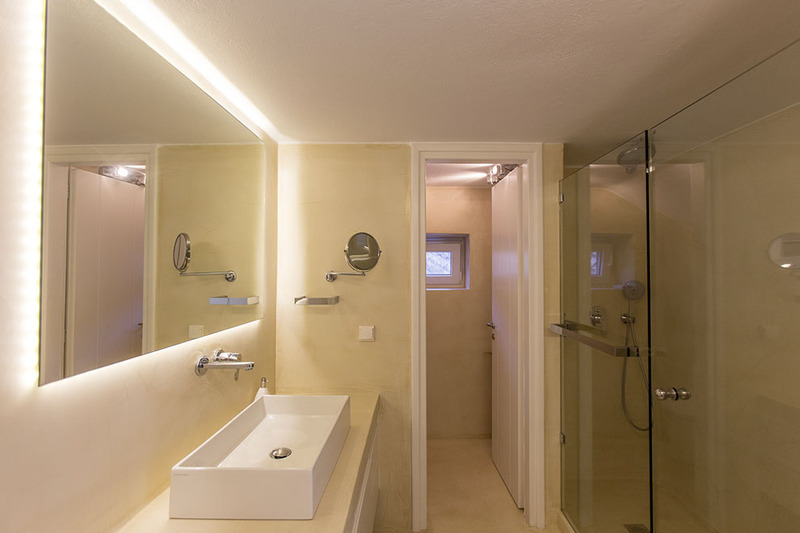 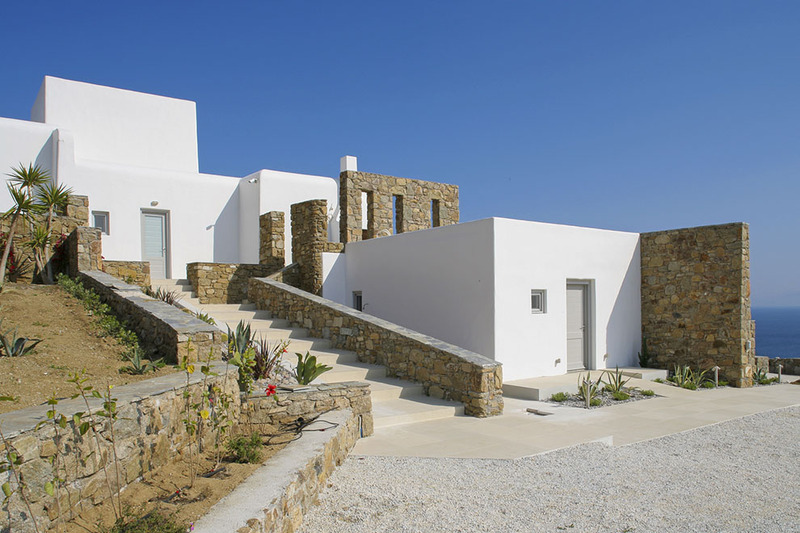 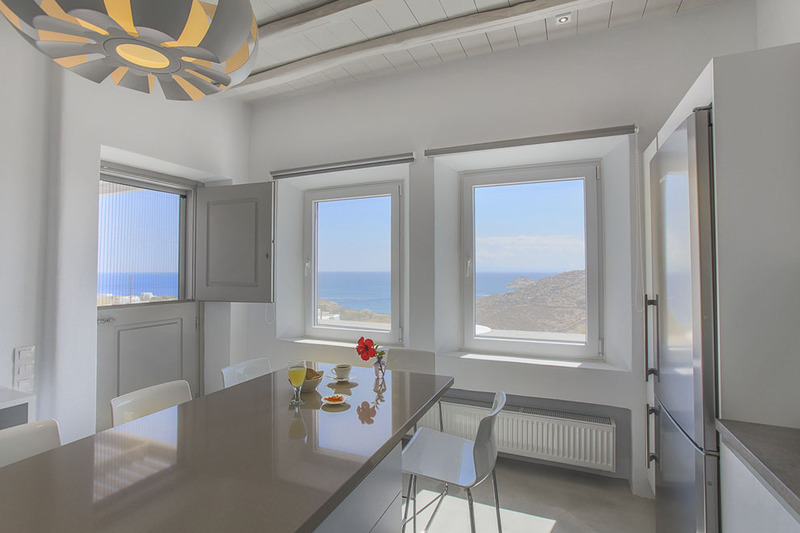 All the rooms inside are full of light and boost unobstructed view to the outdoors and sea. 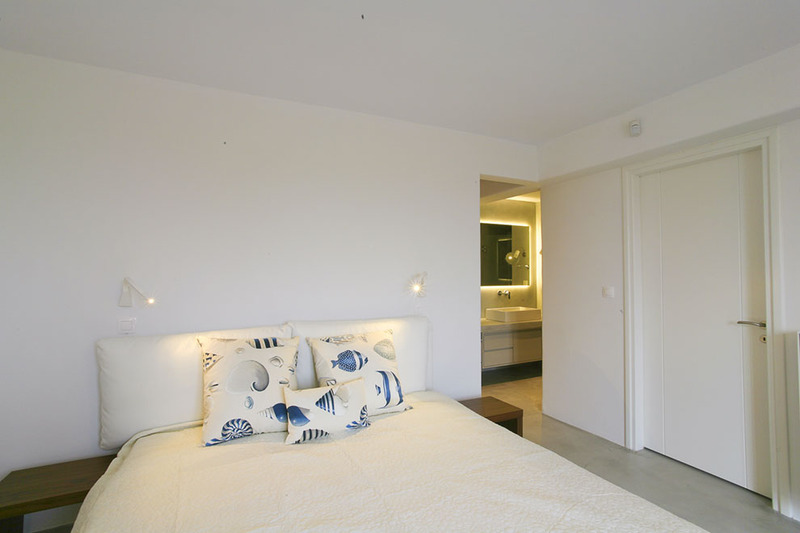 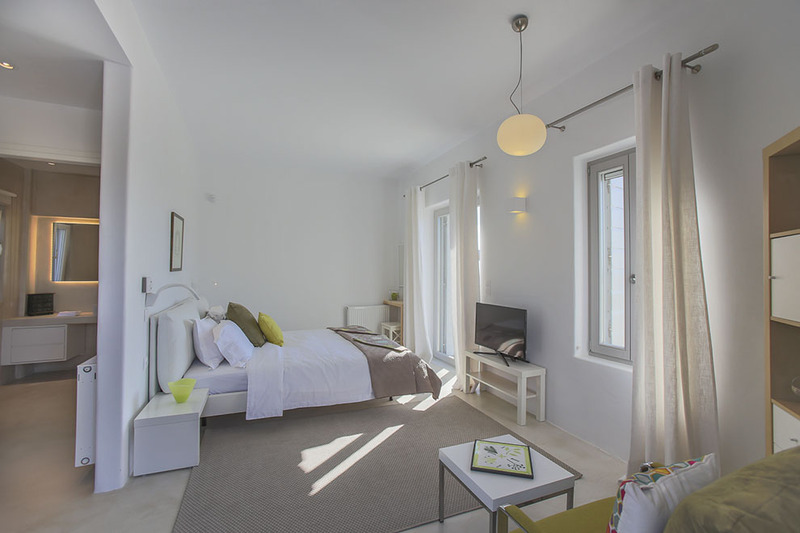 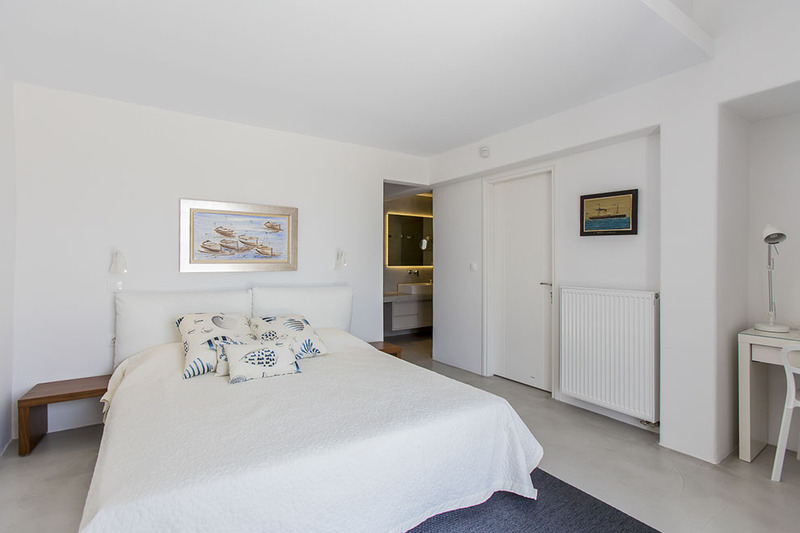 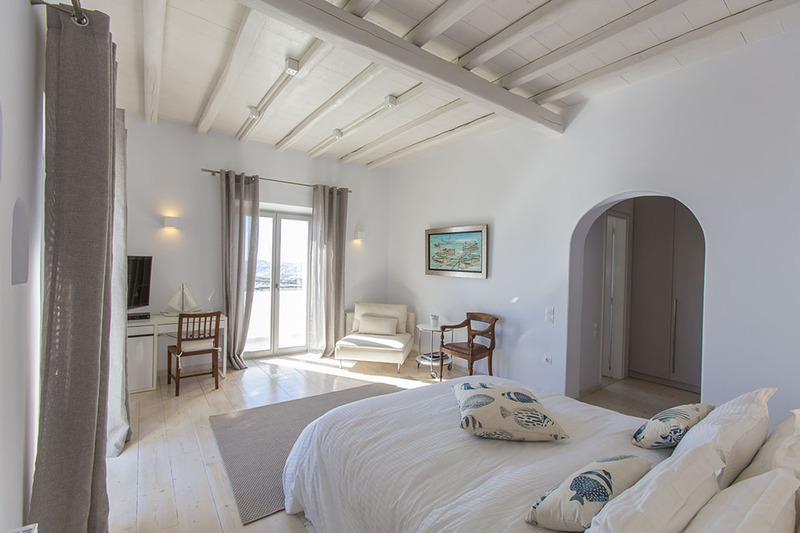 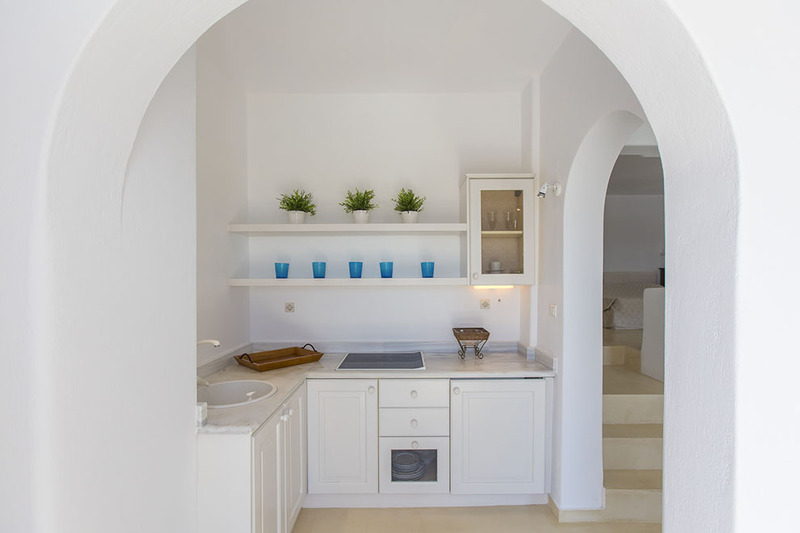 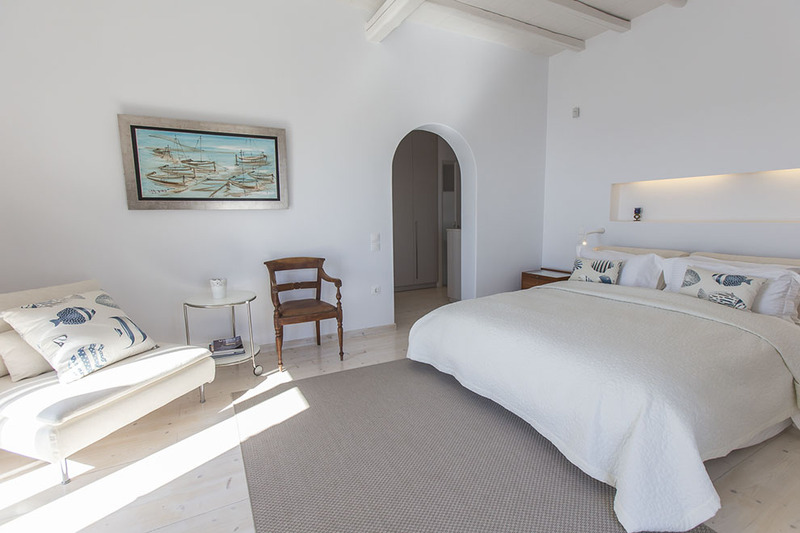 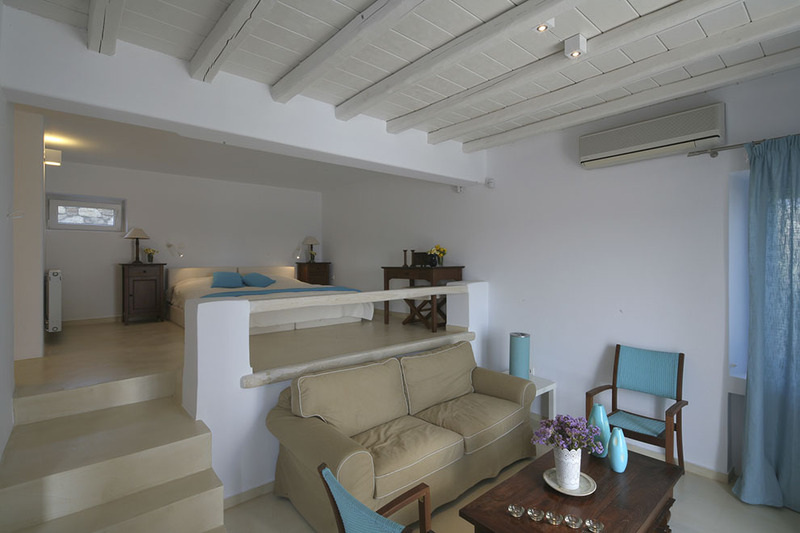 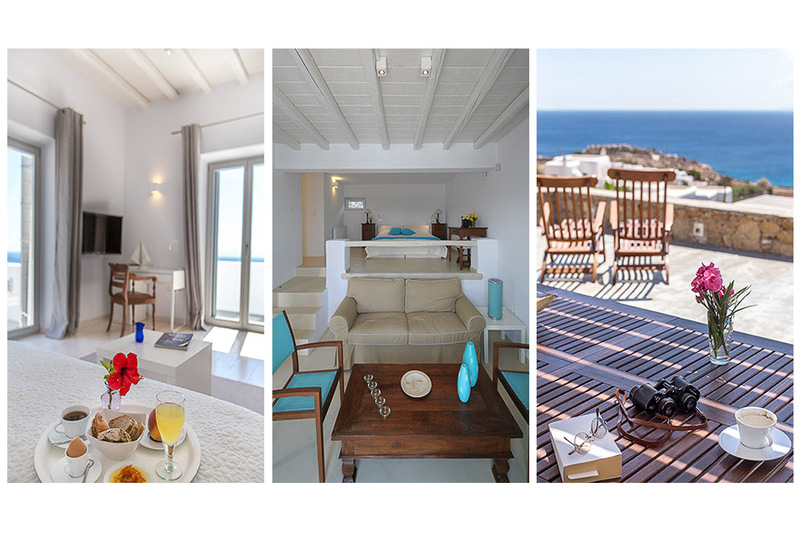 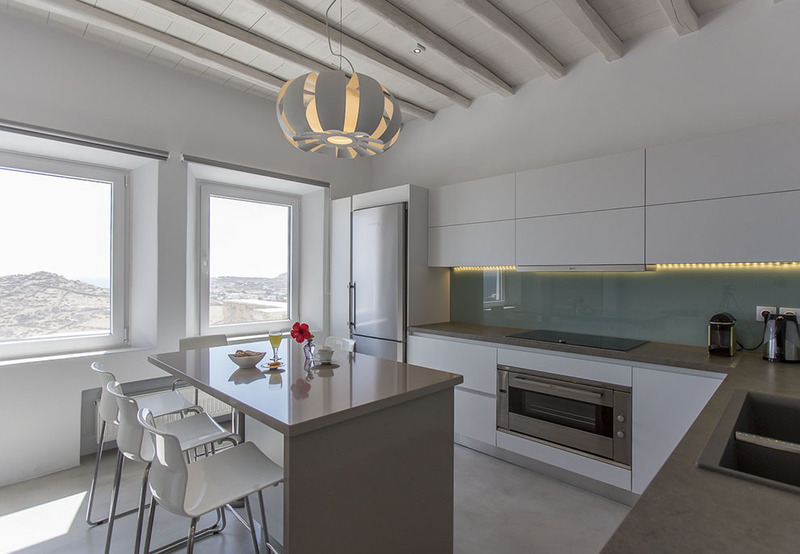 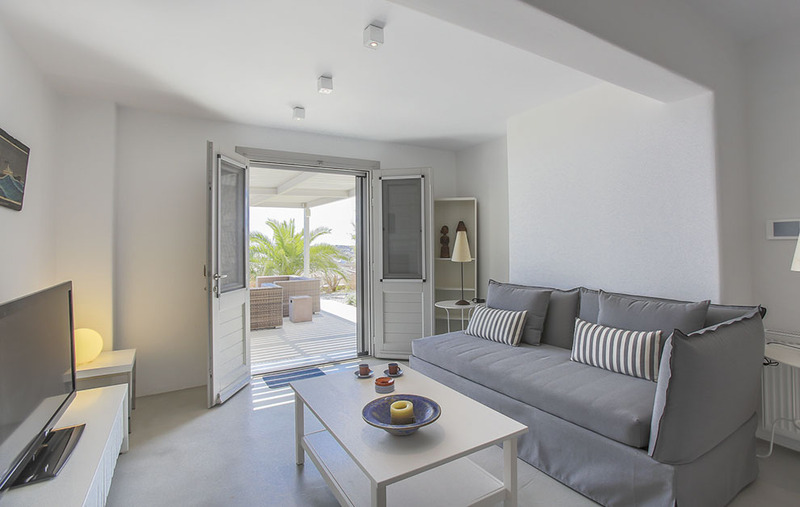 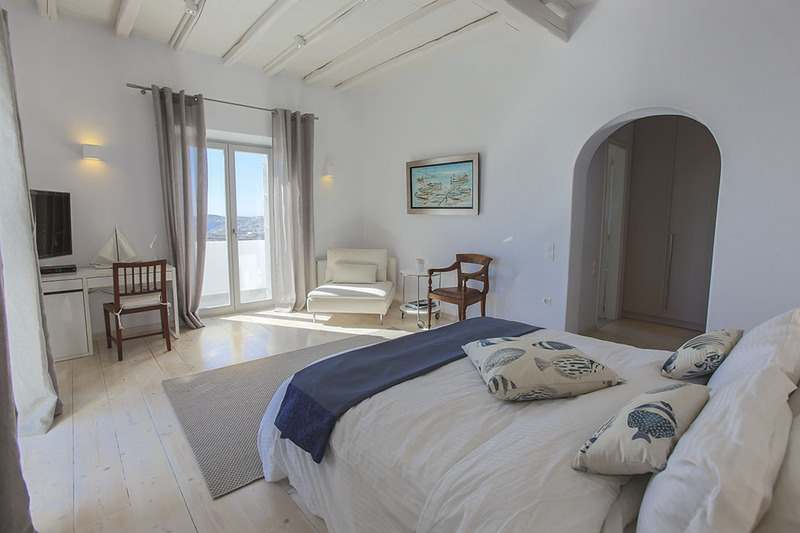 The Mykonos Villa has carefully furnished living room with attention to detail and direct sea view, spacious en-suite bedrooms and is full of cozy corners. 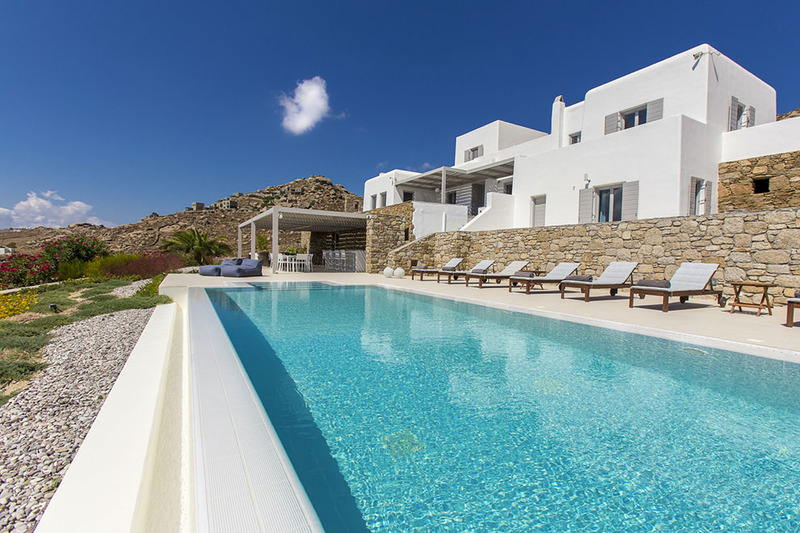 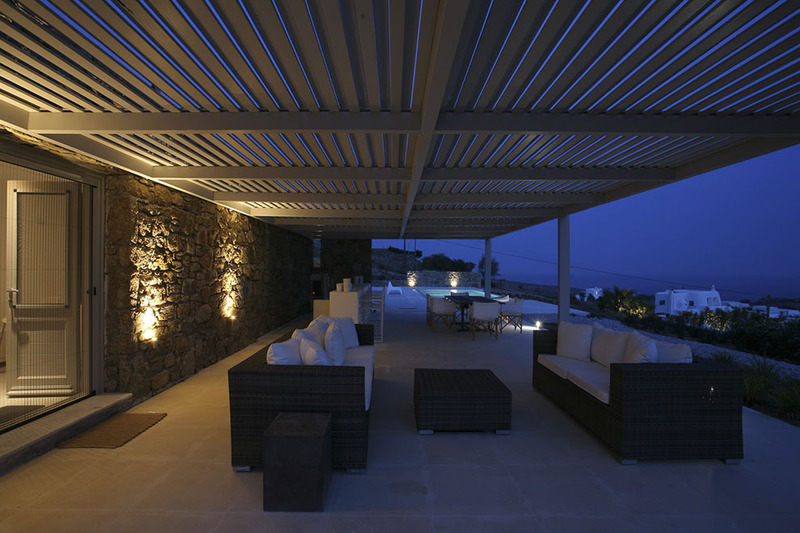 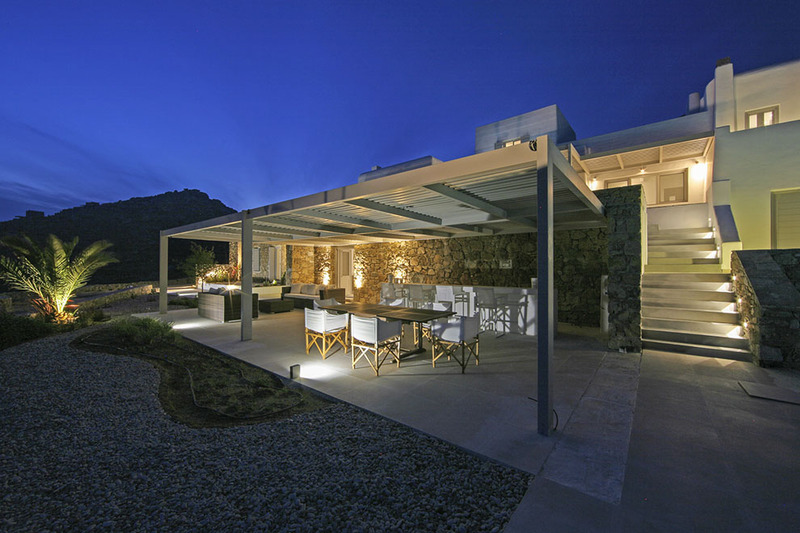 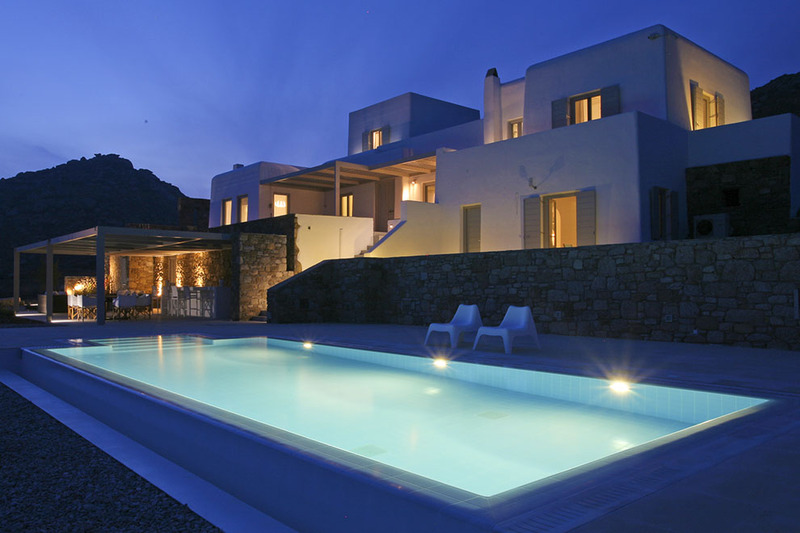 Villa Anais is the ideal Mykonos Villa for those who seek to combine total privacy with luxury accommodation and easy access to famous beaches in one of the most tranquil areas in Mykonos.